Two story Casoria home design. Under construction. Ready May 30, 2018. 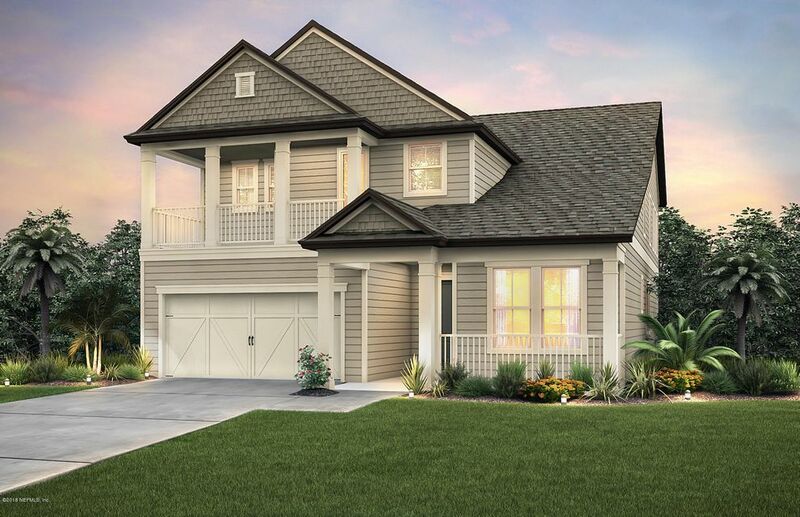 Elevation 53 has a front porch, balcony and covered lanai. 3 car tandem garage. One bedroom and 1.5 baths on first floor. Master and two bedrooms upstairs. Large loft. Spacious kitchen with large food prep island and cafe space. Dining room. Gathering room. Lots of space. Open concept. 21'' porcelain tile floors, wood tread stairs. Carpet in bedrooms and loft. Maple cabinets. Granite countertops. Kitchen Aid SS built in appliance package. Must see!! This home has been on the market since Apr 10,2018. Courtesy of BUILDERS SERVICES INC.